A range of quality Acoustic Fins available in sizes and colours to suit. Installing acoustic products at low level is not always advisable, (unless using the new Oscar Evo-Panel, specifically designed for absorption at low level in high impact areas such as sports halls). Having an open structure so they are able to absorb sound means they cannot be quite as robust as a plastered wall or standard block, (see acoustic Sound Blocks page). Even standard acoustic panels can be prone to damage, dirtying and delamination if in constant contact with people. Following a recent project at Darwen Vale High School, Lancashire, the acoustic consultants concluded that there was not enough area at high level in the main atrium and dining area to achieve the desired acoustic result due to not being able to apply SonaSpray to the soffit and wishing to retain some of the existing old feature brickwork walls on show. Liking a challenge, the boffins in white coats at Oscar Acoustics set about designing a new system. The result was beautiful! SonaSpray K-13 Special in white applied directly to the walls in panels with our new acoustic fin system protruding through in a contrasting blue/grey. The client, architect John McAslan and Partners and acoustic consultant SRL Technical Services Ltd were extremely happy with the results. SoundFin acoustic Fin installations can be tailored to meet your specific acoustic needs. Standard size is 2700mm x 400mm. Custom sizes are available on request. Standard fabric facings comply with Class 1 to BS476: Part 7. 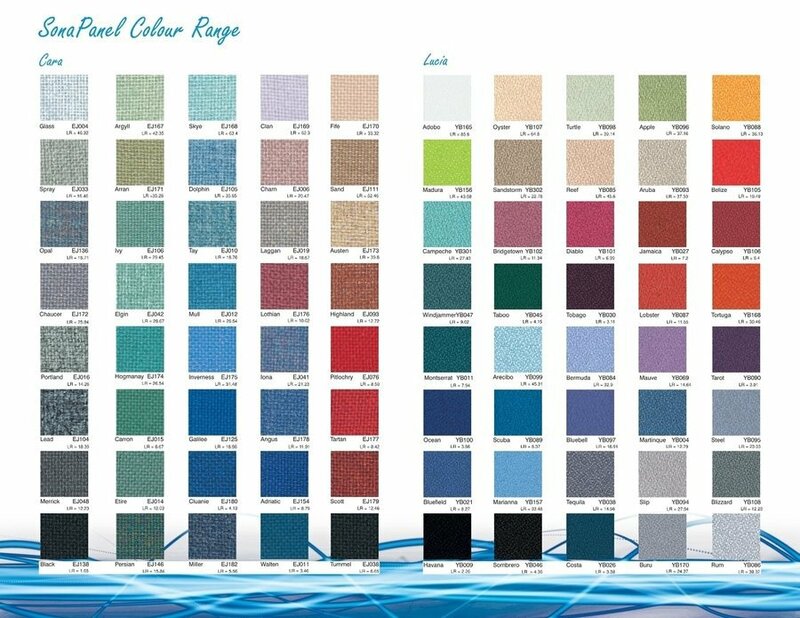 Class 0 fire rated fabric finishes are also available on request. Recycled glasswool board is fire rated as Class 0 to BS476: Part 6. SoundFin acoustic fins are extremely easy to maintain. Vacuum lightly with a brush attachment if and when necessary. Due the acoustic fins being fixed perpendicular to the walls, there is very little thermal resistance unless using in conjunction with one of the SonaSpray or SonaPanel range. See their technical sections for more information. The acoustic panels weigh approximately 3kg/m². 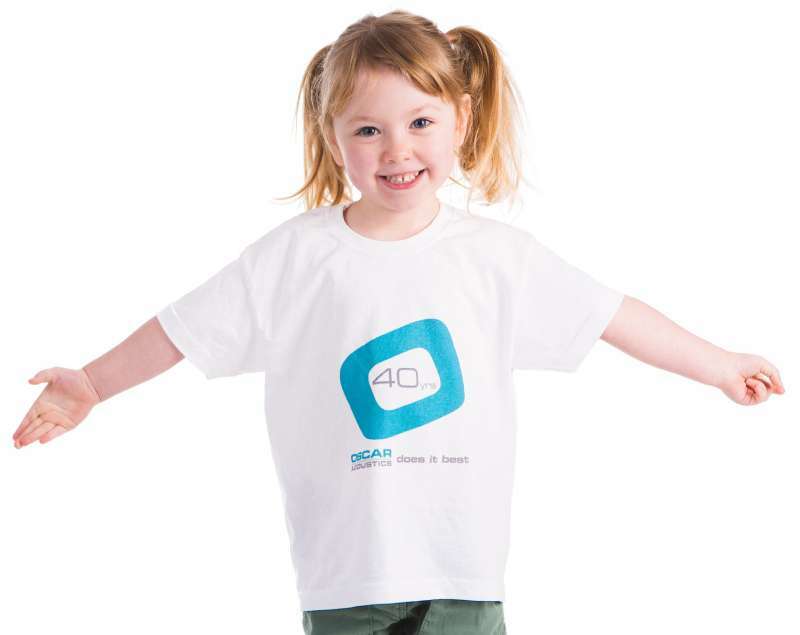 Please choose from the 40 standard colours below.